08946 was one of Oxford's long term resident shunters during the 1980s. 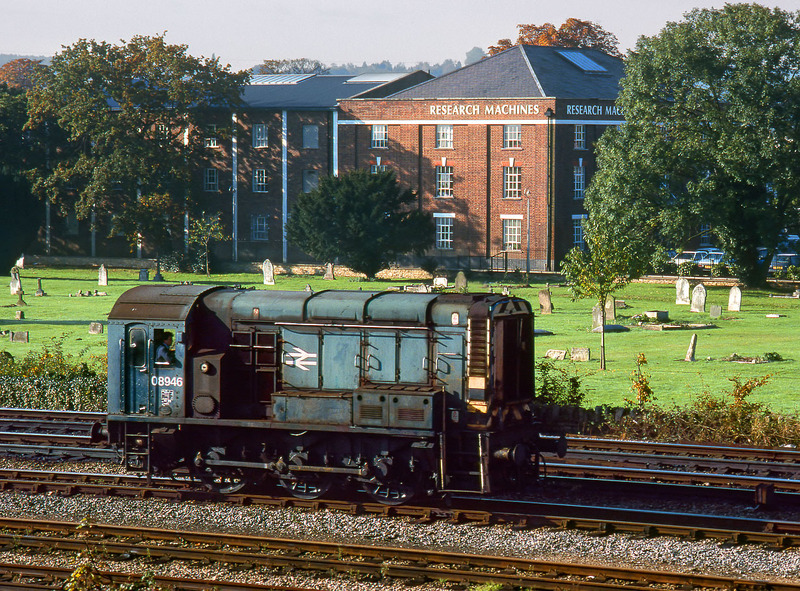 It is seen here on 21 October 1988 passing the cemetery on the approach to Oxford station. Behind the graveyard is Oxford's very own computer factory. Research Machines was at this time a major contender in the burgeoning British PC market.